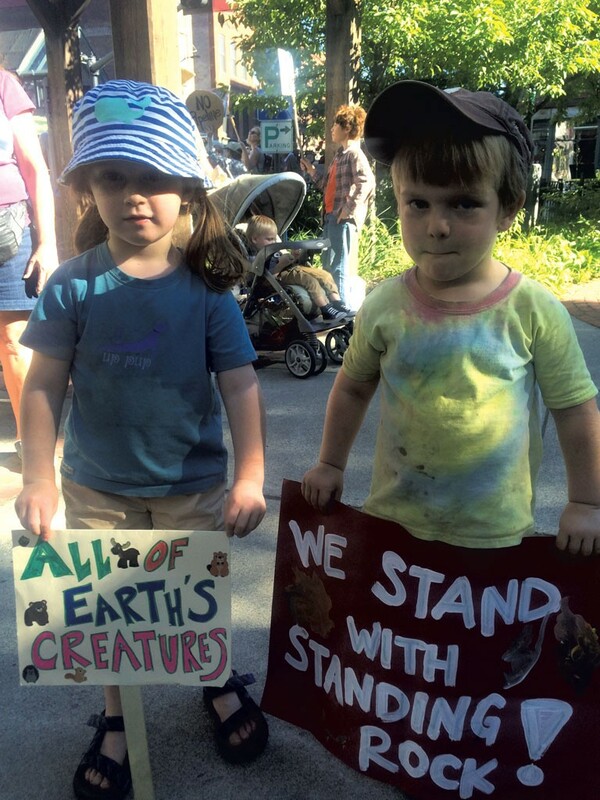 350Vermont Gets Kids in on the Action | The Kids Beat | Kids VT - small people, big ideas! 350Vermont, a nonprofit devoted to solving the climate crisis, has organized campaigns to divest the state from fossil fuels, stop the Vermont Gas Systems proposal to construct a fracked gas pipeline across Hinesburg's Geprags Park and provide financial incentives to make Vermonters' homes more energy efficient. Now it's hoping to spur families to take action in both their own communities and ones most affected by the fossil-fuel industry. In 2016, they launched Mother Up! : Parents Exchange for Change campaign, spurred by the belief that "parents are powerful voices in fighting for the health and safety of our collective future," explained project coordinator Abby Mnookin. Last August, Mnookin's family and four others traveled to the Pennsylvania shale fields to see the results of fracking firsthand. Mnookin shared commentary about the trip on Vermont Public Radio. "Raising children in a time of climate change can be frightening and isolating," she said. "But by joining with other parents through Mother Up!, my family builds community, and I feel empowered by the knowledge that we're stronger together." For more information about Mother Up! : Parents Exchange for Change, including monthly meeting times and locations, visit 350vermont.org/campaigns/mother-up.